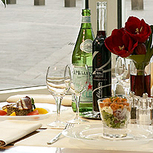 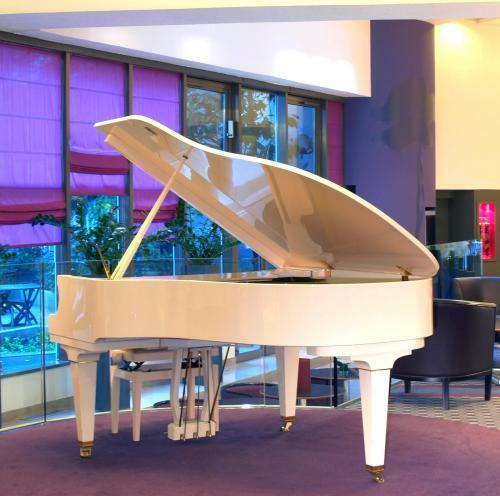 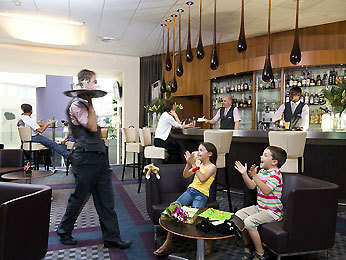 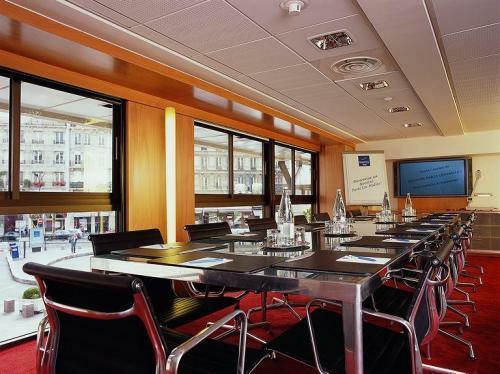 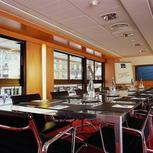 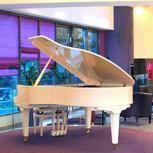 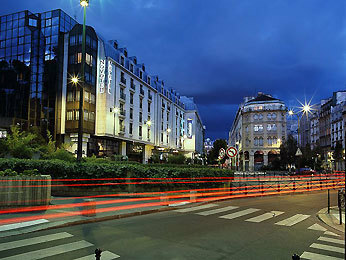 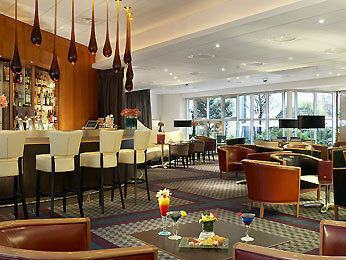 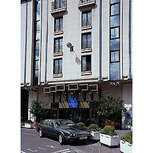 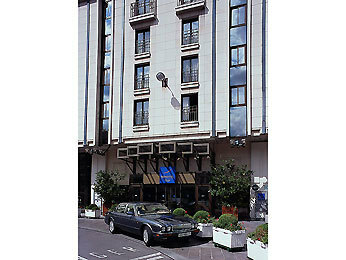 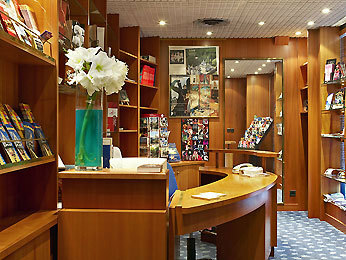 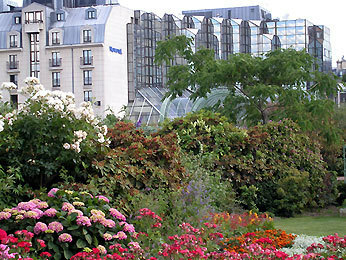 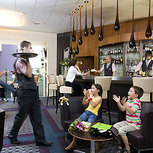 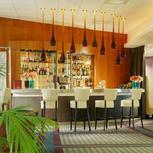 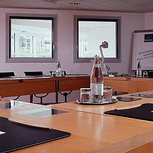 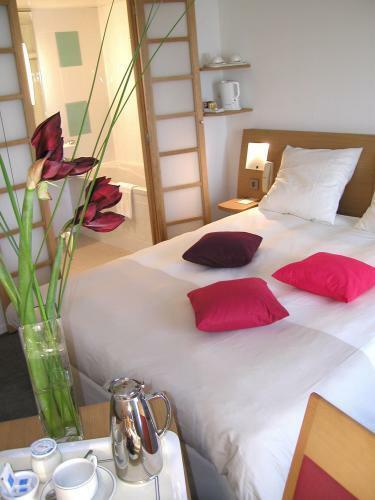 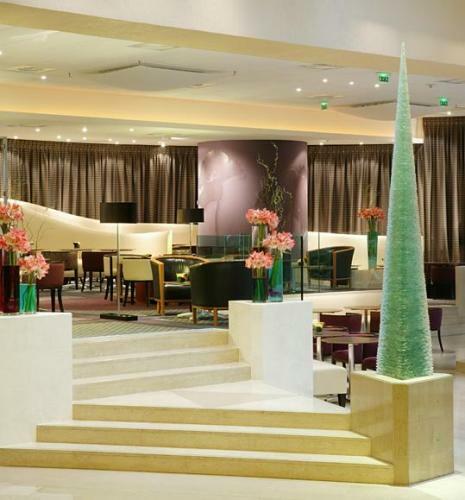 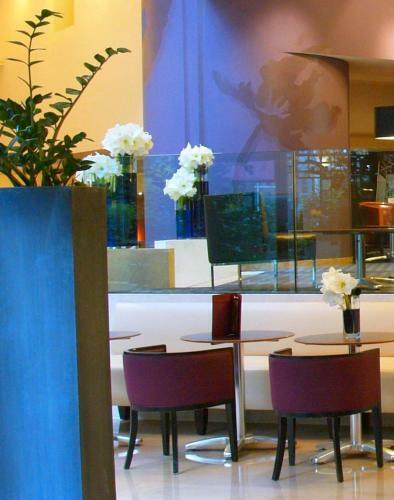 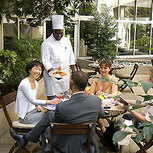 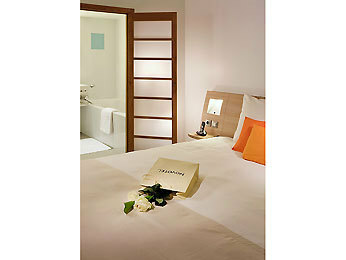 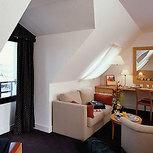 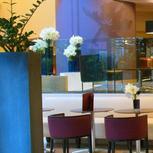 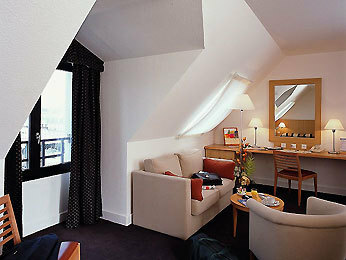 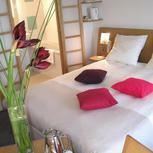 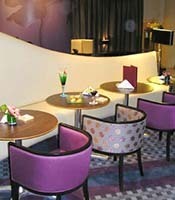 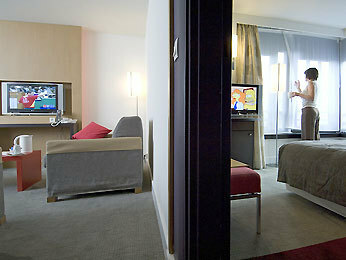 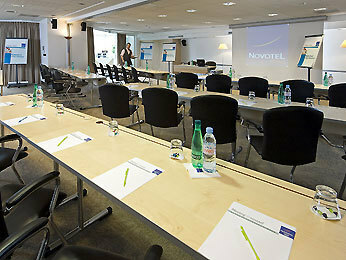 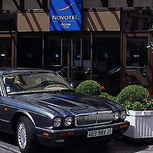 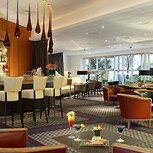 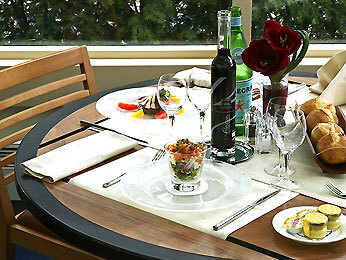 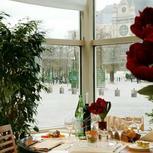 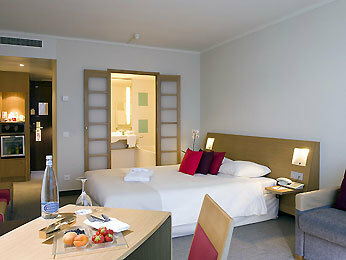 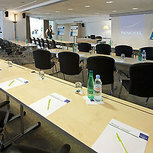 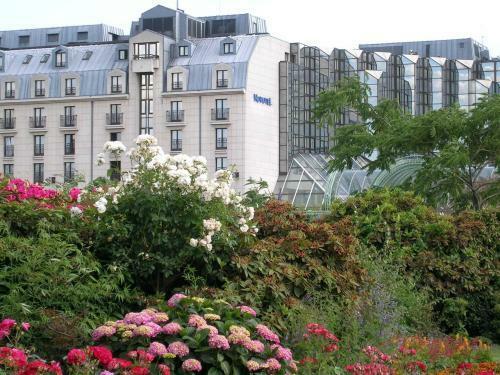 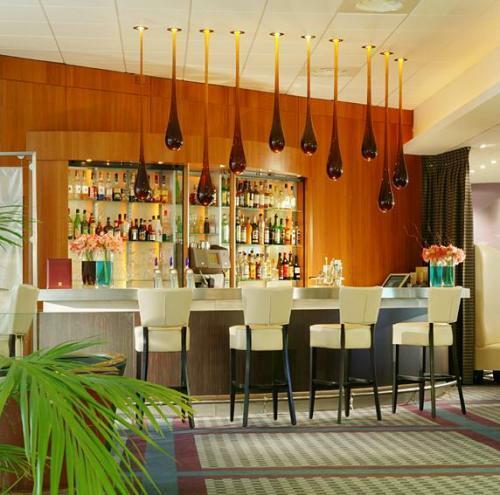 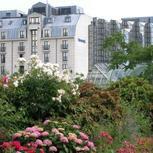 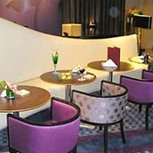 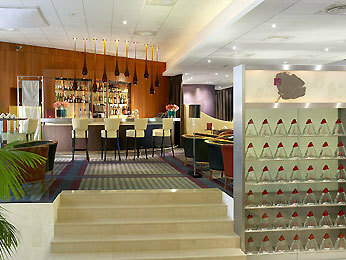 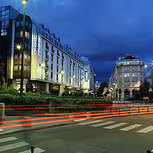 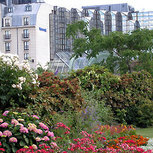 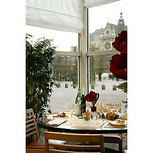 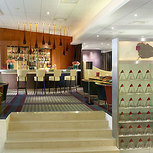 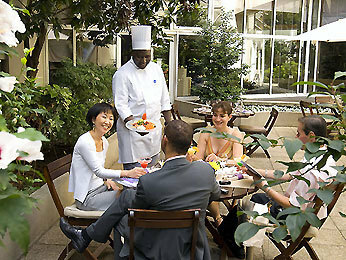 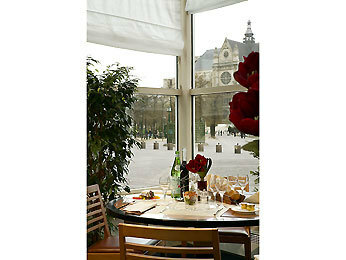 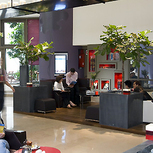 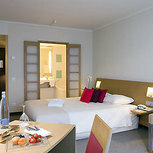 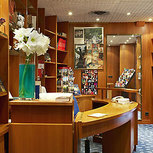 Located in the historic centre of Paris, opposite Saint Eustache church and Les Halles gardens. 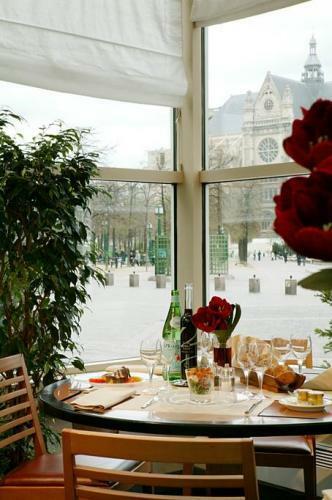 Close to Pompidou Centre, the Seine River, the famous street Rue de Rivoli, major department stores, the Louvre and Notre Dame. 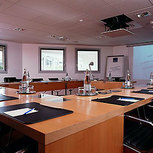 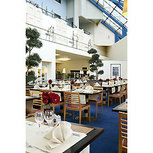 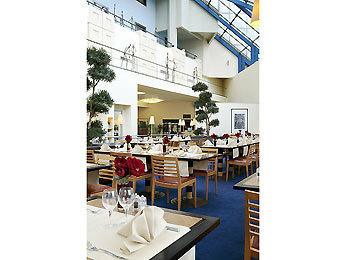 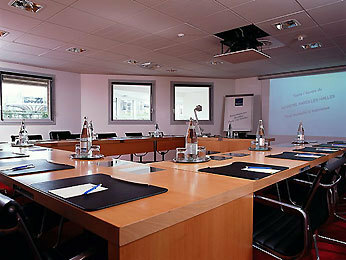 285 rooms, 8 meeting rooms, restaurant, bar, car park. 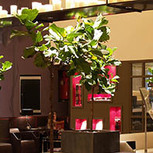 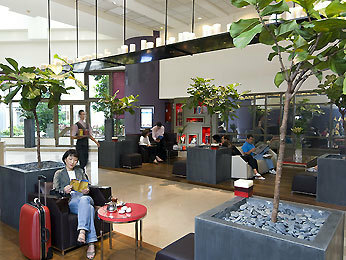 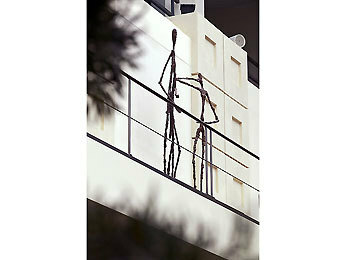 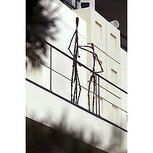 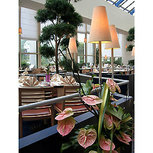 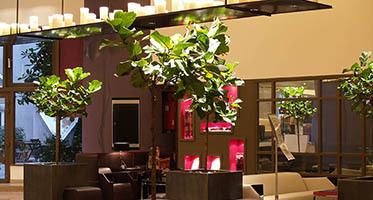 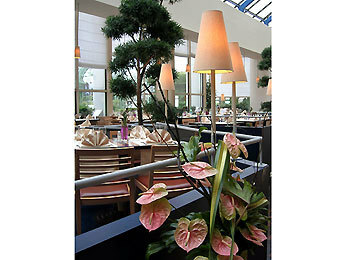 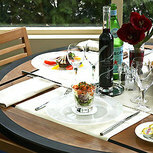 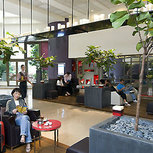 The decor and design create a soft, warm, very contemporary atmosphere. 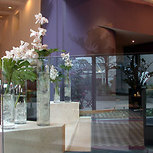 Quality materials: wood, glass, brushed metal, ceramic, cotton. 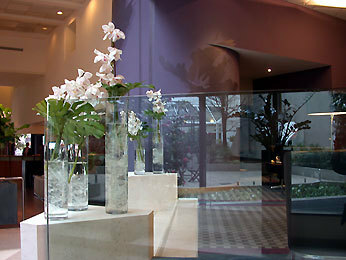 Curved, rounded, fluid shapes. 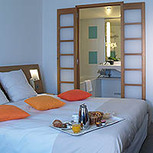 The three different colour schemes for the Novation guestrooms: The new guestroom comes in three different colour schemes : red, orange and blue. 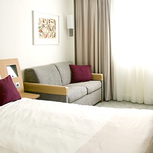 Present in varying shades on cushions, chair, luggage rack, and the wall opposite the bed, these colours add a touch of fantasy and sparkle to the general beige and light gold ambiance.